...and check out today´s post for the Mexican Embassy in Athens. Ovelikios, thanks for your post & of course Greetings from Mexico. 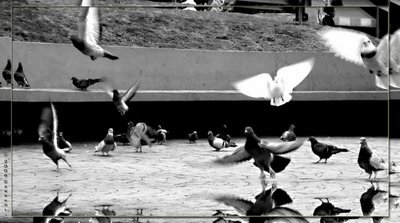 There's something that keeps drawing my eye back to this photo....maybe it's the two white pigeons captured in flight. Whatever it is, you've captured a majestic moment! Thanks for your comment on my site...much appreciated!